How to Remove Cairo Dock from Start Up? 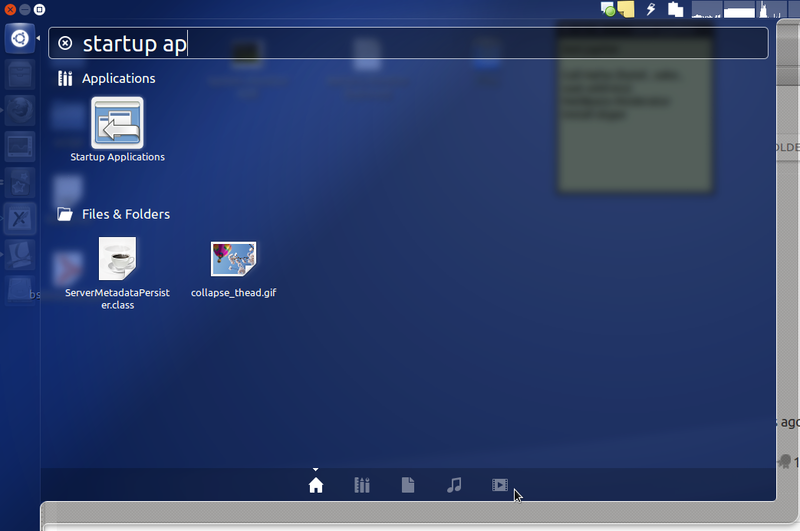 I have Cairo Dock's Version 3.0.0.1 installed and I've added it on start up. Now I want to remove it from Start Up, How I can do the Same? Please Help Me! Click on the little wrench icon at the top-right position of the panel. Remove the tick mark from the entry. Logout and Login again to test it. 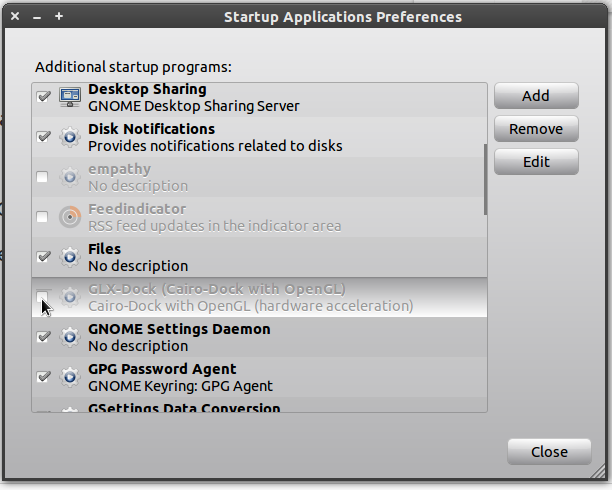 Find an item that start with "GLX-Dock" in the shown list and unchecked it. In your next login Cairo Dock will not start at login time. Not the answer you're looking for? Browse other questions tagged startup-applications cairo-dock or ask your own question. How to remove cario-dock from startup? How do I remove an extra dock in cairo dock? Remove bogus Cairo Dock menu item?